The January 2018 figures compiled by Net Applications and relayed by Computer World show us that Internet Explorer, Edge (Microsoft) and FireFox (Mozilla) have again lost ground against the now hegemonic Google browser: Chrome. 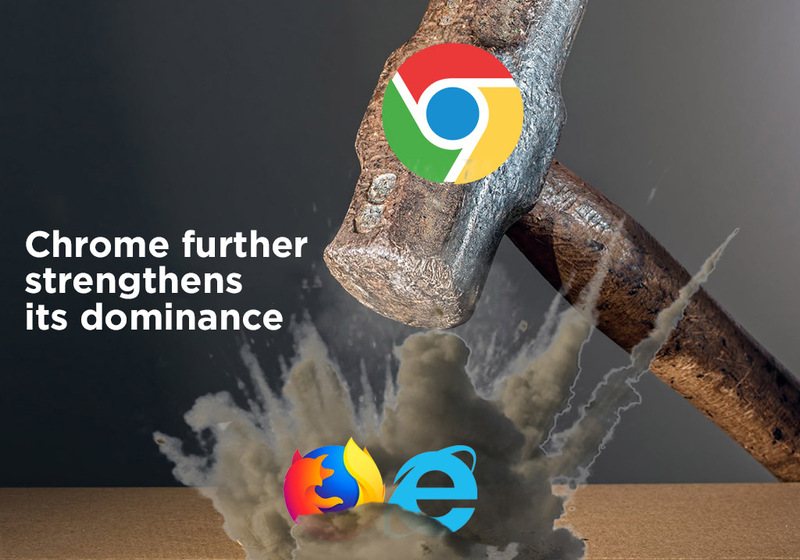 The 2 Microsoft browsers, IE and Edge, now represent 16.5% of the market. Mozilla FireFox keeps 10.85% after conceding again 0.2% only during month of January. Chrome gathers the shares left by its direct competitors, ending the month with 61.4% of market shares! Net Applications’ projections show that the IE/Edge pair could go under 10% of market shares as of August 2018 and will be preceded in its fall by Mozilla, which would go under 10% as of March. 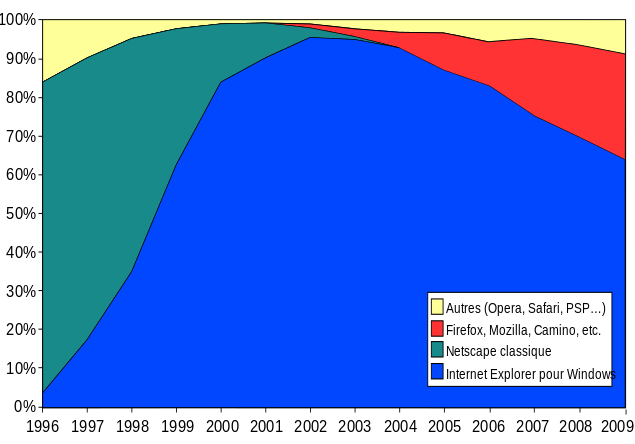 Historically, Microsoft had gradually taken the sector’s first place from Netscape in the 1990s before seeing its dominance gradually eroded by Chrome. Chrome gained about 5% of market shares between January 2017 and January 2018. In a scheme now well known to American technology companies, Chrome’s market shares are far greater than the market shares of all its competitors combined (the famous “Winner takes It all ” effect ). Should we rejoice in the fact that the experience offered by chrome is the best on the market or on the contrary be concerned and call for the emergence of a real countervailing power? Quasi-monopoly situations are always undesirable, especially when the user’s private data is at stake. This is obviously the main motivation for Google’s aggressiveness in the browser market. 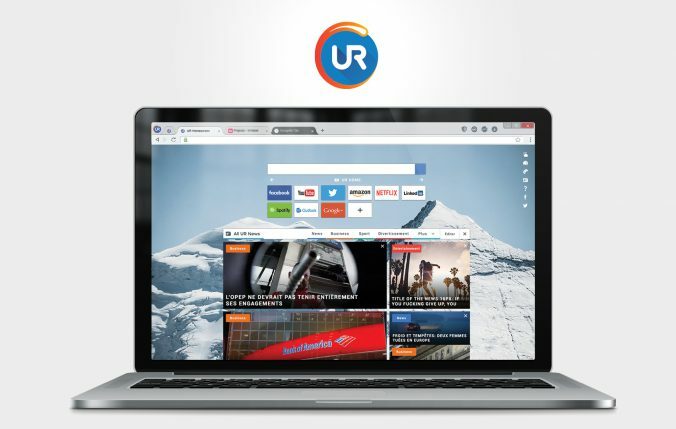 The volume of data available to Google through the analysis of traffic that flows through Chrome allows it to gain more control everyday over another niche, that of online research. No other stakeholder has so much qualified information about global Internet traffic. As we mentioned in a previous article, it is possible to disable data sharing with Google, but few people actually do it, either by laziness or ignorance. This is the bet that underlies the economic model of freest solutions providers: silence implies consent. In addition, the overwhelming popularity of chrome has boosted the appetite of hordes of hackers who do not hesitate to exploit the features of the browser, including the famous extensions, which often serve as pivots for collecting data or injecting Large-scale malicious scripts. So, yes, we all wish for the emergence of other leading players who could shatter the virtual monopoly of Google, to avoid the risks associated with hyper-centralization of data processing and security breaches of a system targeted because of its ubiquity. And whoever wants to seek the attention of surfers, we invite them to respect their privacy and to make their security their top priority. We are committed to this and hope to be followed by other stakeholders, with the aim of building a fairer market, where no supplier will have more market shares than all of its competitors combined.